Just four days after last August's All-Ireland final defeat to Limerick, Eanna Burke was back training with his club St. Thomas. Ultimately, club hurling was a welcome distraction. Though, initially, he was presented with an unexpected reminder of that painful Croke Park day: former Limerick manager TJ Ryan had joined manager Kevin Lally's backroom team. 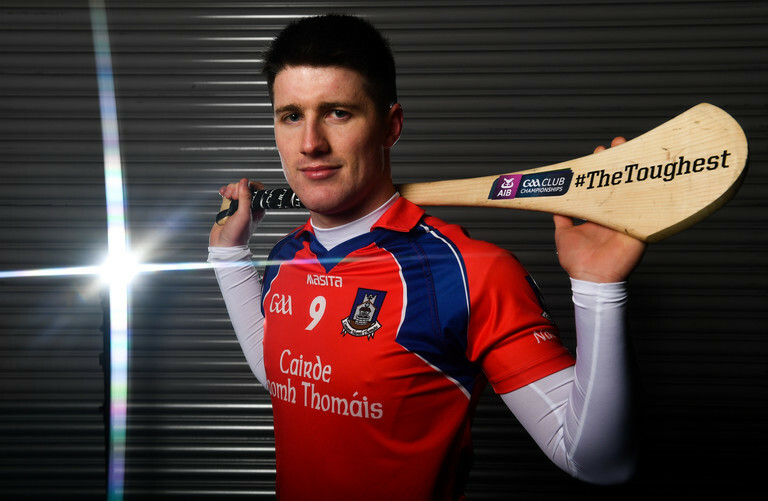 "The first evening I went back was the Thursday after the All Ireland Final, I hadn't actually realised he was with us," Burke said ahead of the AIB GAA All-Ireland Senior Hurling Club Championship Semi-Final which sees St. Thomas play Ruairí Óg Cushendall. That was kind of it. We've parked it there since. I was chatting to him after the County Final over a few drinks and he was saying that Kevin had been on to him since last year. They must have a link, I don't know what it is, but they must have something. Ryan was an invigorating addition to the St. Thomas mix as they won their second Galway SHC title in three years. In addition to his St. Thomas role, Ryan is also working with his own club Garryspillane. They won the Limerick Premier Intermediate Championship in October, defeating Bruff. "We actually missed him one day when we were playing in a County Quarter-Final, it went to extra-time and won, I'd say he was on the phone thinking, 'These boys better not get bet when I'm not there.' We just about scraped through and he has massive experience for us. "He was a fresh voice for the boys and obviously he would have serious game management skills behind him. "He is excellent. I suppose he is with the times, he realises it is player based, he gets our opinion. He works off that: we give him ideas, he gives us ideas. There is a healthy relationship. He takes what we have to say on board and vice versa."